Sam Gandy had never seen anything like it. He was examining brain scans, color-coded to indicate problems. In healthy people, images appear almost entirely blue and green. But several areas on this particular scan were bright red. Gandy, a neurologist at Mount Sinai Hospital in New York, was studying the brains of retired soldiers and football players, looking for signs of trouble like this. The scan that stood out was of a retired National Football League player who had suffered 22 concussions over the course of his 11-year career. 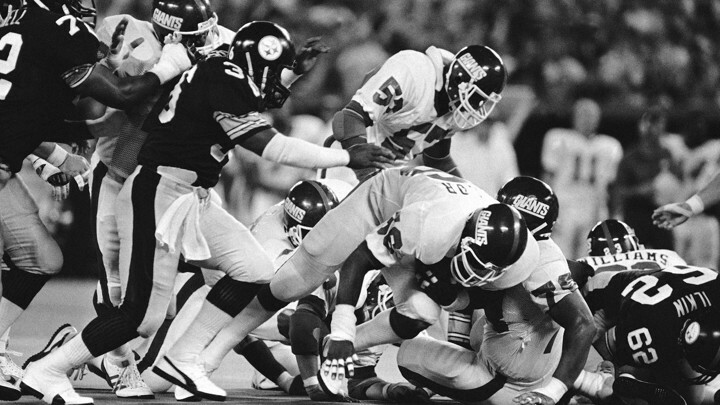 Now approaching middle age, the player complained of memory lapses and a short fuse—symptoms associated with chronic traumatic encephalopathy, or CTE, a neurodegenerative disease linked to repetitive brain trauma. Currently, CTE can only be definitively diagnosed after death. 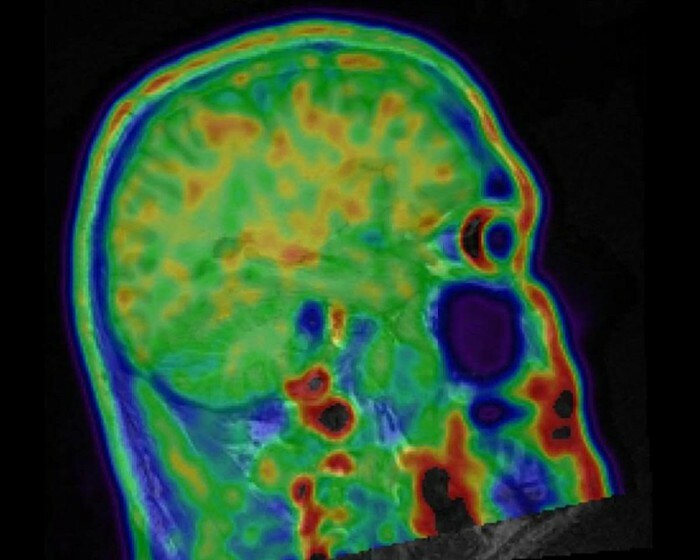 But the red areas Gandy saw on his computer screen closely corresponded to the damage that scientists see of the disease in autopsied brains. Gandy’s technique might be the first way to spot CTE in a living patient. If so, what he was looking at could change the future of contact sports—as well as treating the long-term damage they can cause. Coming on the heels of multiple studies suggesting that repeated blows to the head can be bad for the brain—and of CTE being found in soccer players, soldiers, and others—this study only intensified concerns about football: Is the sport, which kicked off another season this month, safe enough for children? For high schools? For anyone? The fact that CTE can only be diagnosed posthumously makes answers difficult. Researchers can’t say how common the disease really is, because studies suffer from unavoidable selection bias: The brains examined aren’t chosen at random from the general population, or even the overall population of contact-sport athletes and others exposed to repetitive head trauma. Rather, most are donated for study because donors and their families suspected something was wrong. Researchers also don’t know exactly how CTE starts—though research on concussed mice has offered intriguing clues—or how it progresses over time. They don’t understand why some people who suffer repetitive head impacts develop the disease while others don’t. Nor can they target and test potential medications and therapies. Enter Gandy. A longtime Alzheimer’s researcher, he began to study contact sport–related brain disease in the 1990s, when he coauthored a study that found boxers who had fought in 12 or more professional bouts and had a particular genotype were more likely to have chronic neurological deficits. Three years ago, a 73-year-old retired New York Jets player with memory problems named Dave Herman wanted to enroll in a Mount Sinai clinical trial for an Alzheimer’s drug, but the five doctors who examined Herman—Gandy among them—couldn’t agree on what was ailing him. Three thought he had Alzheimer’s. Two suspected CTE. 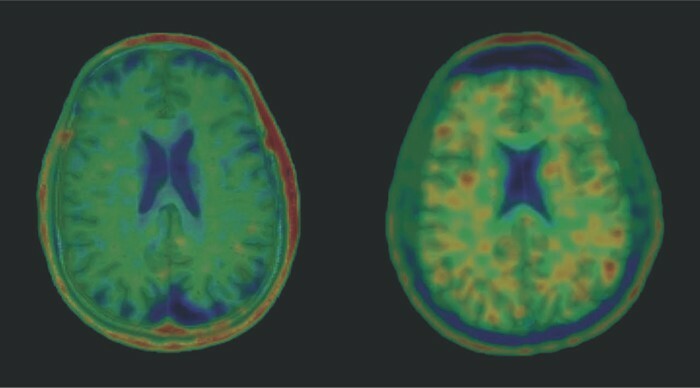 So Gandy examined Herman’s brain twice using positron-emission tomography (PET) scans—once with a radioactive tracer that binds to beta-amyloid, a sticky protein that builds up in the brains of Alzheimer’s patients, and again with a new tracer that binds to tau, a different protein that misfolds, clumps, and forms toxic tangles in the brains of CTE patients. The first scan came back negative. The second was positive. Herman likely had CTE. Only doctors couldn’t be entirely sure; the scans were lacking in detail, and scientists hadn’t agreed on a postmortem diagnostic standard for the disease, so Gandy couldn’t match with full confidence what he saw in Herman’s scan to the tau tangles seen in the autopsied brains of CTE patients. A year later, however, an expert panel commissioned by the National Institute of Neurological Disorders and Stroke, or NINDS, agreed on what distinguishes CTE from other diseases that also feature tau deposits: In CTE, the neuron-killing protein tangles build up around the wrinkled crevices along brain’s surface, particularly at the deepest points. Since then, Gandy’s team has examined and scanned almost 30 combat veterans and former football players. Ten of those patients have clinical symptoms of CTE; of that group, eight have what Gandy describes as “clearly positive scans” for abnormal tau buildup, similar to that of the NFL retiree. The other two “may not have accumulated enough tau for us to see it yet,” Gandy says. A number of tau tracers have been developed in recent years, and researchers are still figuring out which ones are the most useful for identifying various neurodegenerative diseases. Two years ago, researchers at the University of California, Los Angeles, published a brain-imaging study of 14 former football players using a tracer called FDDNP to identify what appeared to be CTE. But that same tracer also binds to amyloid, making it difficult to differentiate the disease from Alzheimer’s. Better answers may come from a recently announced seven-year, $16 million study funded by the National Institutes of Health and NINDS that’s aimed at diagnosing CTE—a project the NFL was also slated to fund before backing out amid controversy. Headed by Stern, the project is the largest and most thorough study of the disease ever conducted, and will put former football players through a series of tests including an MRI; two PET scans; blood, saliva, and spinal-fluid collection; genetic evaluations; neuropsychological testing; and clinical examinations and histories. Stern believes that doctors will be able to diagnose the disease in the living within five years. If and when that happens, it will allow researchers to better study potential treatments. In particular, PET scans may enable them to see if a drug is working. Sometime in the next year, Gandy’s team hopes to have the tau-positive patients from its imaging study participate in a small clinical trial of a new medication that has shown the ability to repair and clear out misfolded tau in animals. The ramifications for contact sports—especially football—could be equally profound. Youth football participation is declining, and a number of college and NFL players have walked away from the game, citing concern over brain injuries. It’s not hard to imagine someone like Gandy giving brain scans to entire high-school, college, and pro teams. The results might restore confidence in the overall safety of the sport—or further erode it.